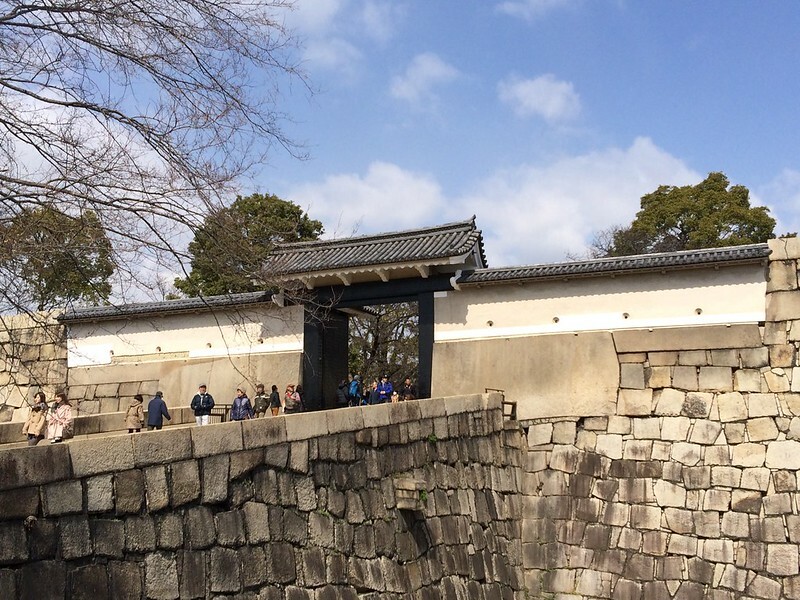 This is the main gate of the Hommaru (Inner Baily) of Osaka Castle. 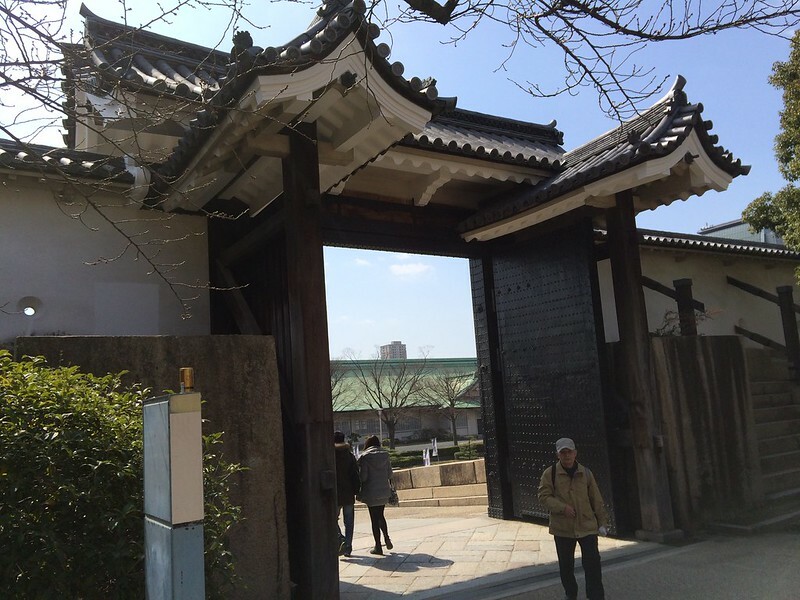 Built during the early Edo period in 1626, this gate was lost in fire during the Meiji Restoration in 1868 and reconstructed by the army in 1887. 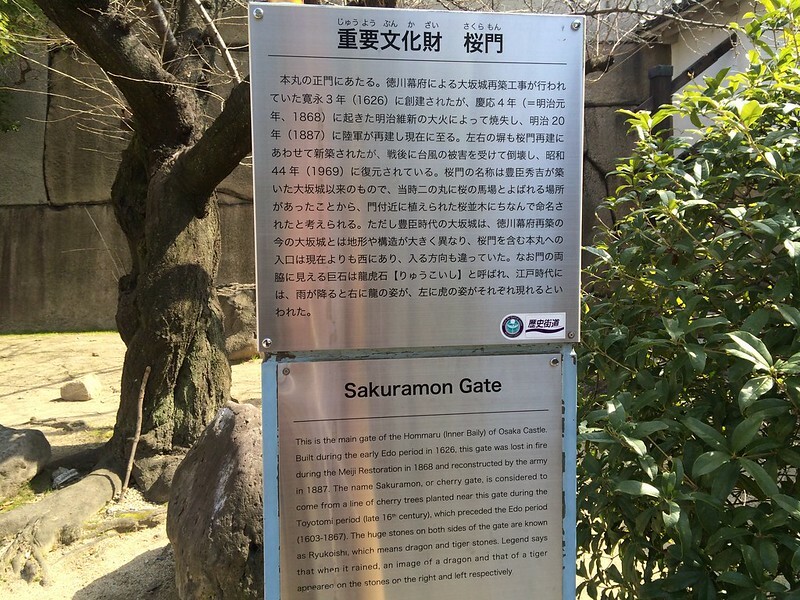 The name Sakuramon, or cherry gate, is considered to come from a line of cherry trees planted near this gate during the Toyotomi period (late 16th century), which preceded the Edo period (1603-1867). 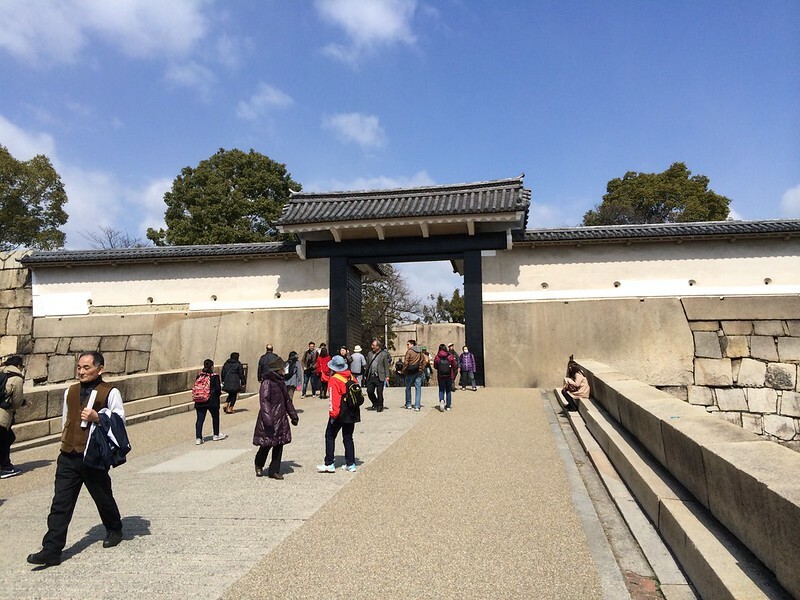 The huge stones on both sides of the gate are known as Ryukoishi, which means dragon and tiger stones. Legend says that when it rained, an image of a dragon and that of a tiger appeared on the stones on the right and left respectively.